If you're dissatisfied with the audio quality of your iPad's speakers like so many others, you'll be happy to hear about Ora, a new accessory hitting Kickstarter today. Ora is an iPad case for audiophiles, complete with its own 10-hour power supply, data pass-through, and a reversible cover that doubles as a stand, much like Apple's Smart Covers. Eight speaksers built into the frame provide front-facing, finely-tuned audio output from the device while still sticking close to the original design aesthetic. The iPad is installed thanks to some quarter-friendly screws on the back, which should keep it nice and secure. 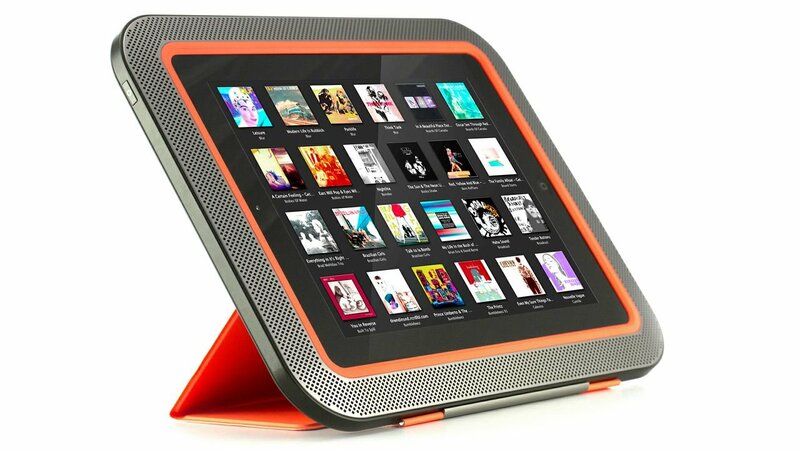 On the downside, the Ora is built with 30-pin iPads in mind, so only second- and third-gen models. Ora's Kickstarter campaign is offering a bunch of different models to backers, starting at $99 as an early bird special, going all the way up to the exclusive premium $199 model. The question is, is audio a big enough deal for you to warrant the added bulk, or would you need to be able to tap the Ora's power supply as back-up for the iPad for it to be worthwhile? What's your preferred solution for iPad audio while on the move? Who's backing?